Me encanta la idea. Muy buena suerte y si no te molesta, me gustaría hacer algo similar en mi clase. 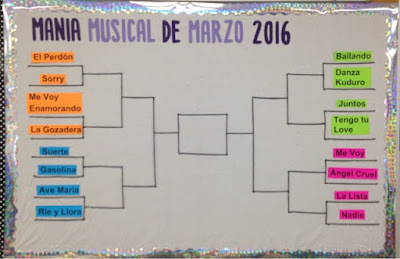 ¿Escogiste tú o los estudiantes todas las canciones? Are all the songs and videos appropriate for middle school? thanks for posting sharing this! I plan to do this with my 8th graders, but you will want to preview them to see if you feel they would work with your students, school culture and admin! What are some activities you do with the winner? Last year we didn't actually do anything with the winner. By that point they had heard the winning song multiple times and I did want to beat the whole thing to death 😀 There are a lot of things you could do along the way with the genre, artist, origin and lyrics. Thanks for posting this idea. It's a great way to brighten up the usually dreary March! Using google forms for the voting was the perfect way to do the voting, too. There was a lot of enthusiasm for the final "game" on Monday. We have a very basketball crazy school so having it coincide with the actual championship game of the men's NCAA tournament made sense. 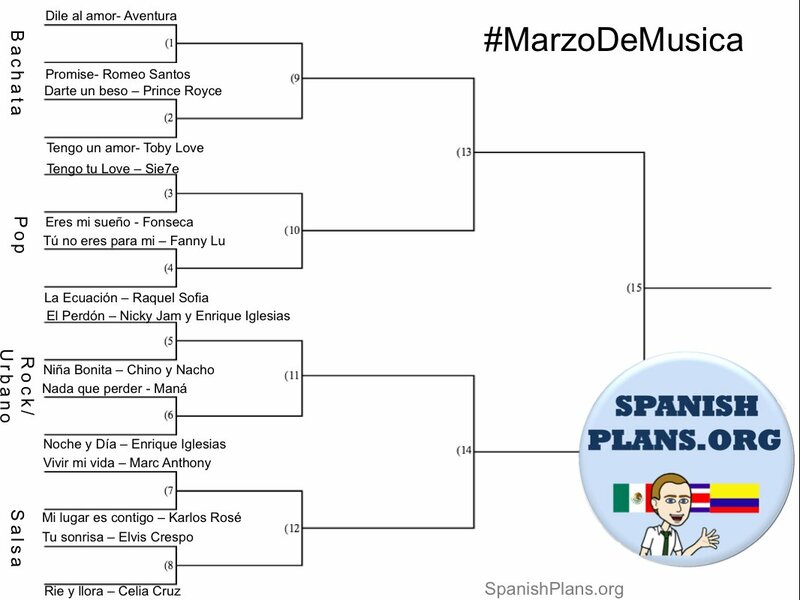 Our finalists were "Bailando" by Enrique Iglesias and "Me Voy, Me Voy" by Vazquez Sounds. Before the final vote, we spent some time getting to know how each of the artists got their start with a biographical video on Enrique and a promotional video by Sony Music about Vazquez Sounds. I apologize for not posting my brackets. I never actually made a digital copy - just put it on the board in my room. 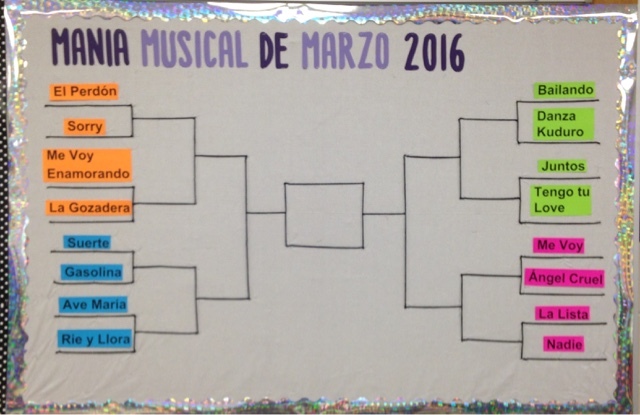 I'm looking forward to using the same idea with different songs next year! Thank you for the update & I am glad it went well!